colour with a semiglossy surface (graphite). rocks (block mining) or during blasting works in easily disintegrable rocks. and charcoal. 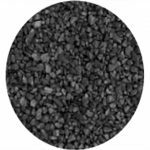 This black powder is bulk granulated material of a gray-black colour with semiglossy or matte surface. 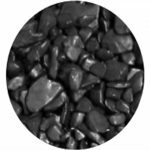 VESUVIT® THH is used for blasting works, as a primer mixer or rocket fuel. No. 8 can be used for initiation. Black powder is usually packaged into 2.5 kg or 25 kg PE packages. Another packaging can be negotiated.